At first glance RTS vs. ŁKS looks like some sort of coffee table-book of hooligan graffiti. 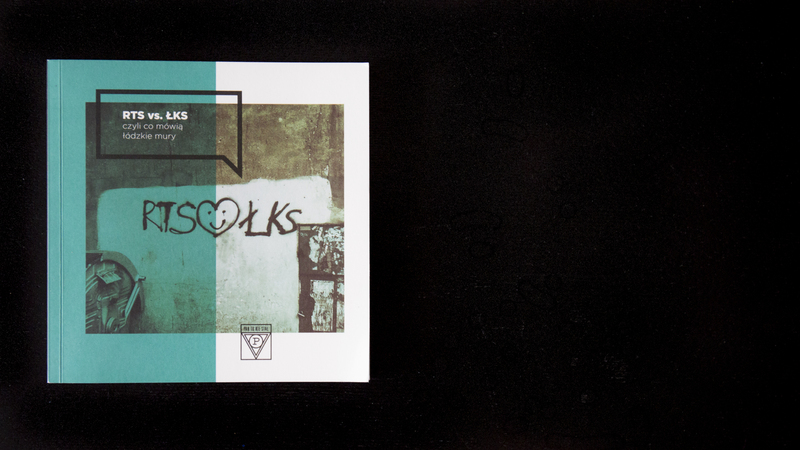 The album comprises walls photographed in the Polish city of Łódź. Located slap-bang in the middle of the country the place is home to one of its nation’s most vicious football rivalries. In her introduction to the book Monika Łukowska describes it as an area where the fans are more active in their support and loyalty than are their teams own players. Although the description of a ‘fierce rivalry’ is so over-used it’s almost a cliché fans of the two Łódź teams, ŁKS and RTS Widzew, are pretty extreme. Whilst violently defending their housing estates they play out their confrontation on the walls of the city. The form this graffiti takes is often antisemitic. Here the word ‘Żyd’ (Jew) is used by the fans of both teams as an insult to the other. 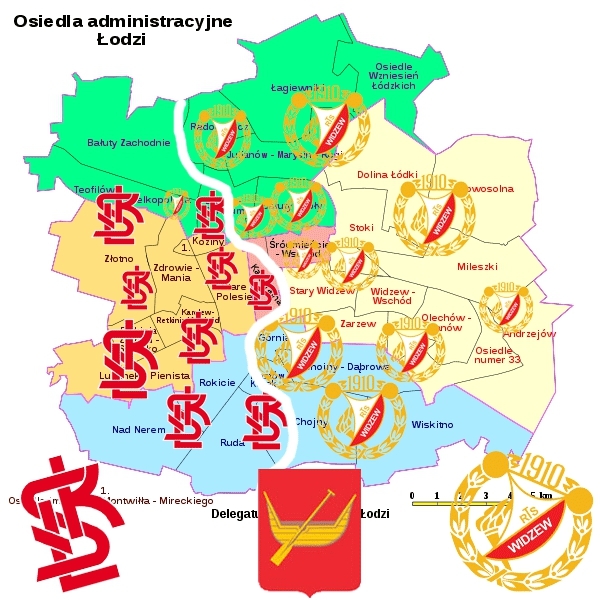 Łukowska writes that all sorts of ‘Jews’ adorn the walls, so in the area of Chojny can be found “ŁKS Żyd”, whereas in Retkinia can be seen “Jude RTS”. However the publication actually has a more satirical take on the hooligan graffiti of Łódź. The slogans recorded on the pages of this book are really the work of a writer who goes by the name of Jan(usz) III Waza. Bored with the violent insults sprayed all over the place Jan Waza began using up the dregs of his mates paint to respond to the city’s hooligans. The result was an ever increasing series of amusing and bizarre ripostes in the vein of the surreal graffiti of the Situationists. The initial response by residents to these childish slogans was that they originated with the hooligans themselves. Pictures of the newly painted walls soon began circulating on social media. Conceptually this is a brilliant idea. To read on a wall that “ŁKS fans cook rice in a kettle” or that “RTS fans hallucinate on field mushrooms” is an entertaining joke. While in all fairness “ŁKS fans think House & Home is a magazine for thieves” could be said about Liverpool’s fans as well. Meanwhile the farcical “ŁKS fans make horseradish sauce out of apples” appears to be a completely ridiculous insult to write. Lots of the graffiti works because its absurdity is as impenetrable as much of the hooligan graffiti is to the outsider who views it. For instance “ŁKS have gas fridges” seems to reference some of the more antisemitic hooligan graffiti but it contains as little logic for the reader. A lot of the content of the graffiti takes aim at the supposed stupidity of the football fans. They “don’t read books” or they “go to university in the suburbs” etc. While being satirical the subtext here is one that dismisses the football fans out of hand. This is an unfortunate fault of the book which can’t hide its condescending attitude toward this subculture. While it is both violent and hateful the football graffiti of Łódź reflects the ignored or unofficial identities of the city’s inhabitants. The book attempts no exploration of why this graffiti occurs; although in all fairness an in-depth analysis of the phenomenon would be a lot to expect from this small album. 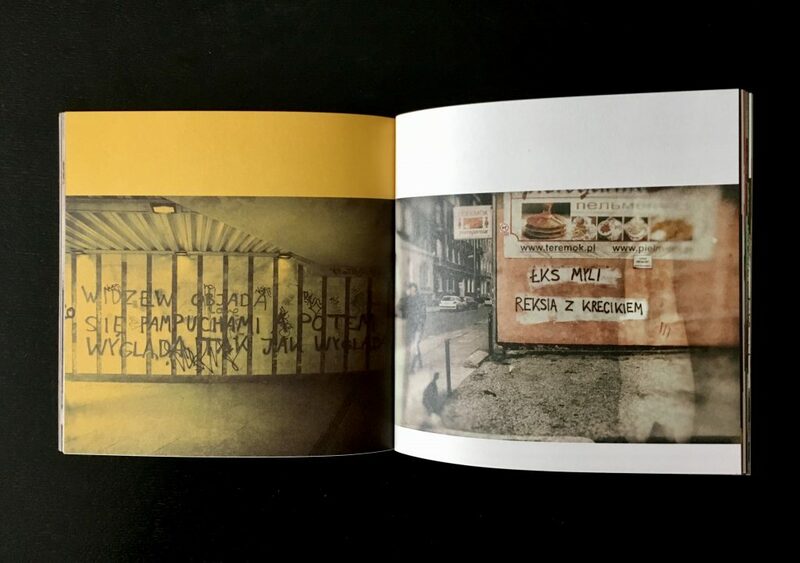 In his 2016 exhibition, “(nie)widzialne / (in)visible”, the photographer Wojciech Wilczyk highlighted the occurrence of antisemitism on the streets of Poland. On display was a recording of people casually strolling past some violently antisemitic graffiti on a wall in Cracow. The point was to show just how mundane this type of prejudice on Poland’s walls has become. It’s not clear that the work of Jan Waza directly tackles this issue but it is inferred. 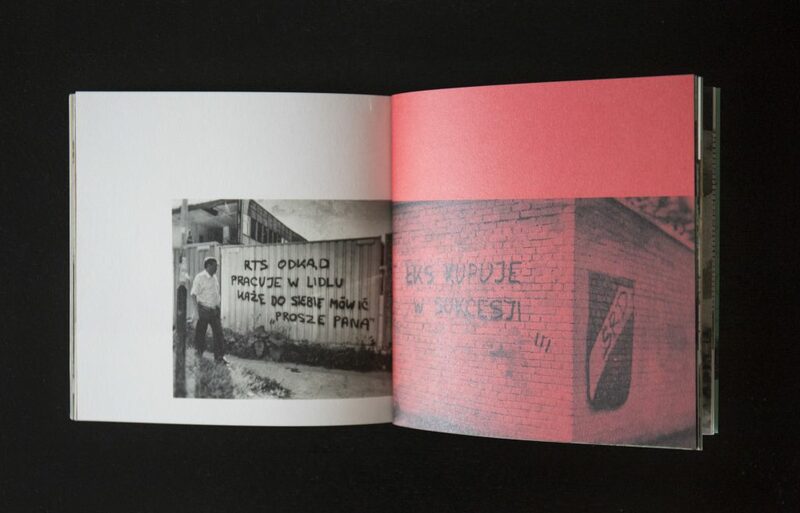 Overall the RTS vs. ŁKS book is a nice collection of photographs that focuses on the content of the tagging rather than the aesthetic. By subverting football graffiti Jan Waza has created some great surrealist work.